Brantley's name has a couple of meanings: Proud or Fiery torch, but he was actually named after one of my favorite singers Brantley Gilbert. Brantley's registered name is also from one of Brantley Gilbert's songs. Brantley is an amazing puppy, one who keeps surprising me of his abilities every step of the way. We like to joke about his start in life, mainly because he was made by an accident, he was destined for a pet home but turned into one of my very favorite and very talented bred by puppies. 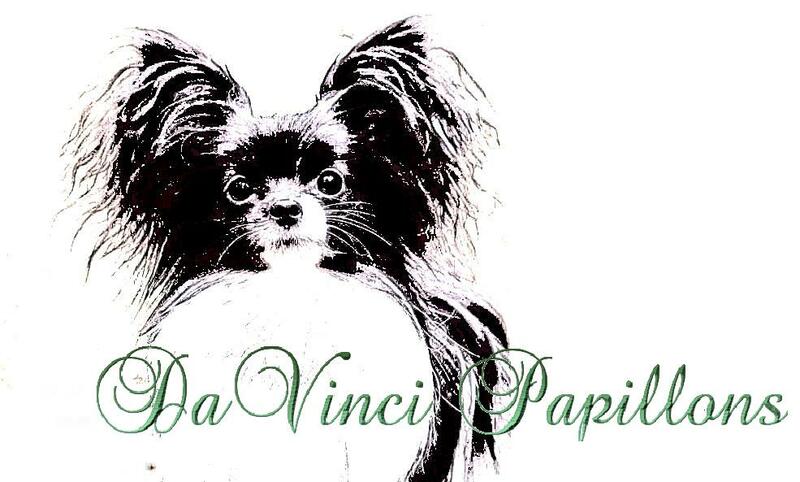 I am over the moon for this remarkable guy, and look forward to his future here with us at DaVinci Papillons. Brantley entered the ring for his very first show with his handler and our friend Katelyn Welch, on May 28, 2016 earning 1st in his class, reserve winners and best puppy then going on to 4th place in toy puppy group. On May 29, 2016, Brantley and his awesome handler, Katelyn Welch, again made a wonderful appearance and also winning his very first 2 points towards his championship! Brantley and our friend Katelyn Welch, had another breathtaking performance on May 30, 2016 taking 2 points more towards his champioship!!!! Thank you Katelyn, for all the love, care and training you give my babies while they are visting you! For Brantley's second weekend showing on June 25, 2016 he took home not only Winners Dog for 2 points but he also took 4th place in Toy puppy Group! June 26, 2016, Brantley and Katelyn made an amazng team by taking Winners Dog for another 2 points! We are proud to announce with the help from our dear friend Katelyn, Brantley has finished his AKC Championship on August 1, 2016 and is now resting until his next mission! Brantley finishing his AKC Championship August 1, 2016. Brantley is OFA Certified for his Heart and Patella's. Brantley is also Clear from NAD and PRA1.